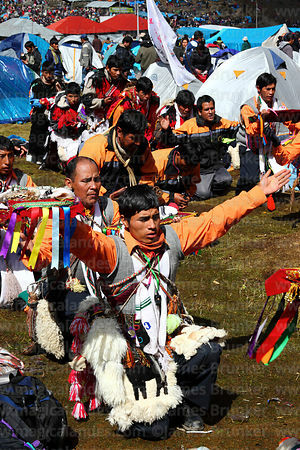 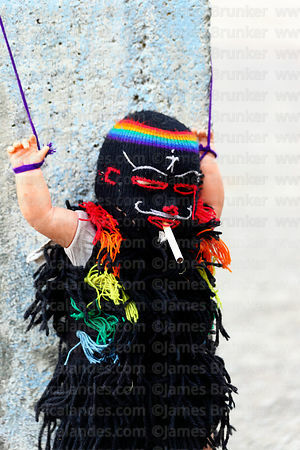 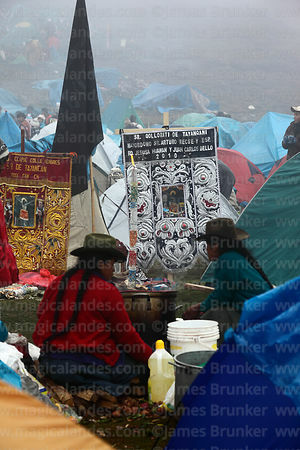 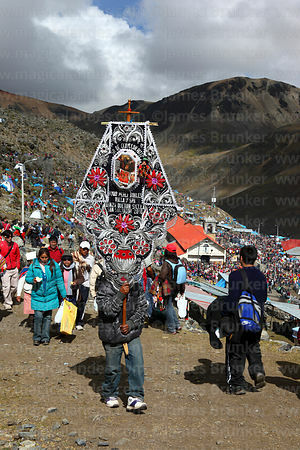 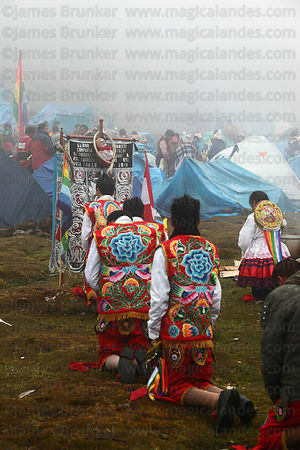 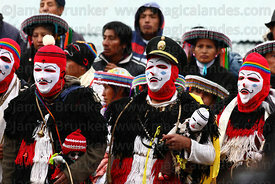 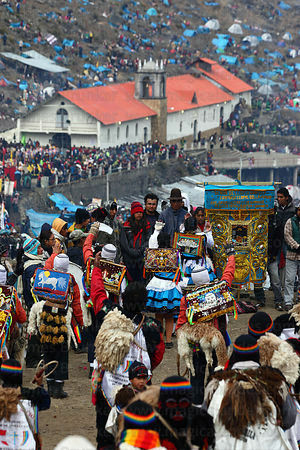 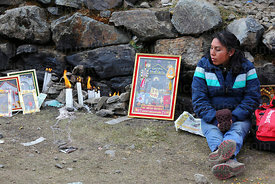 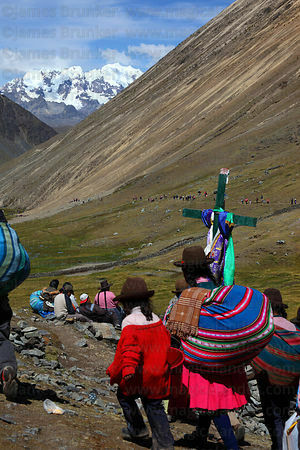 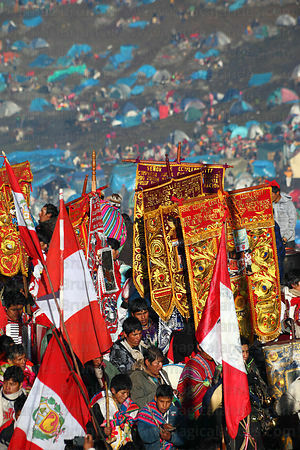 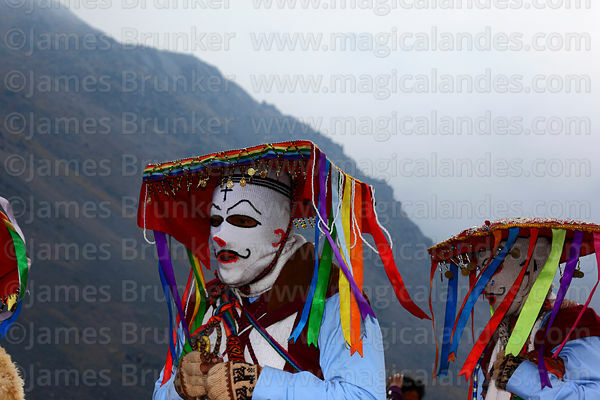 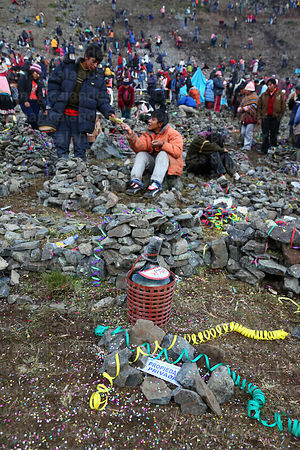 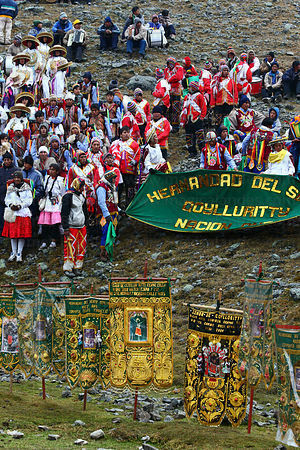 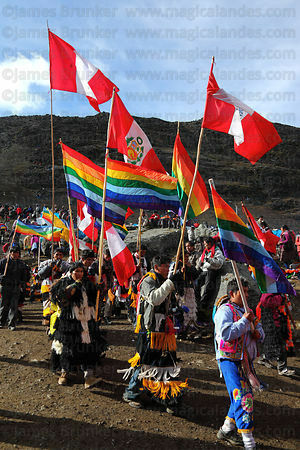 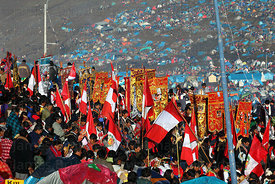 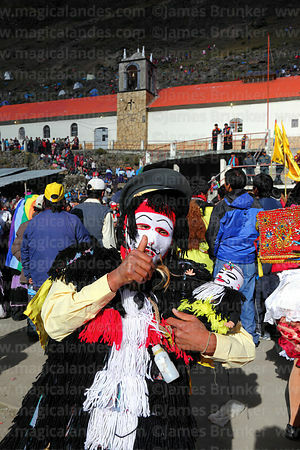 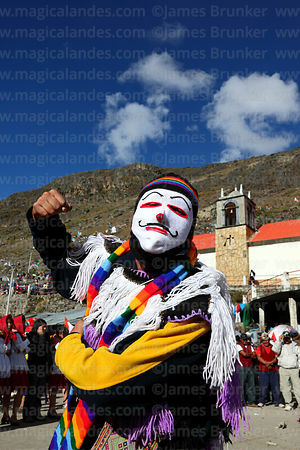 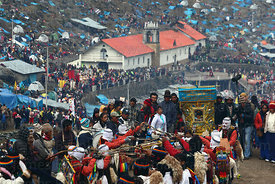 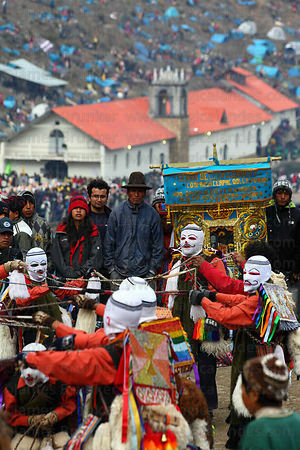 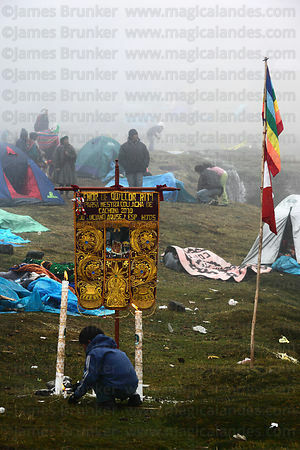 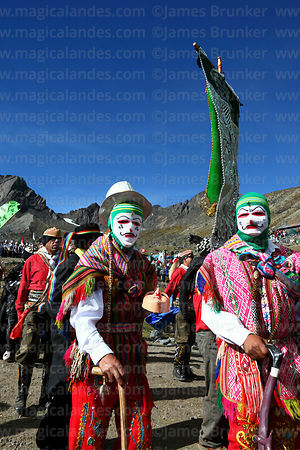 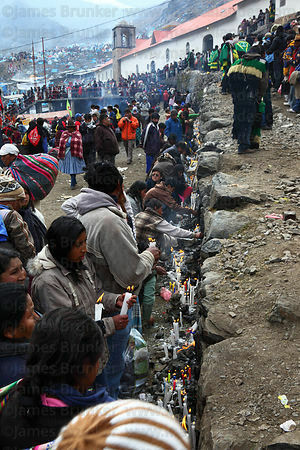 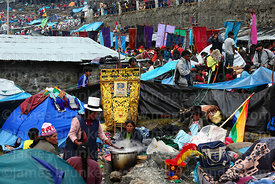 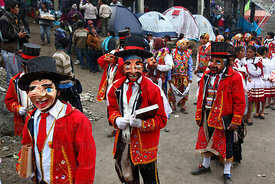 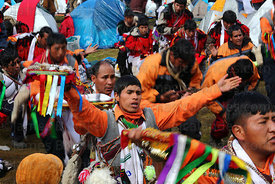 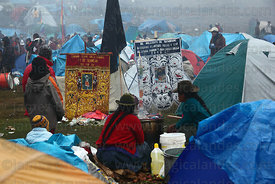 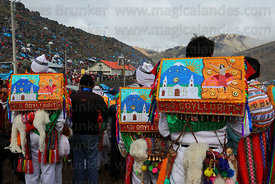 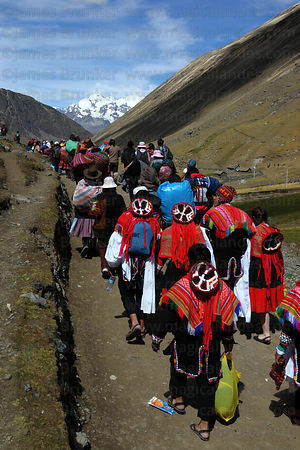 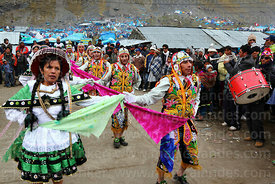 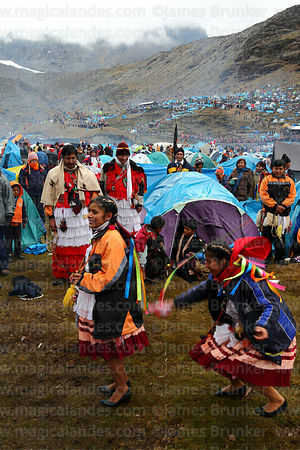 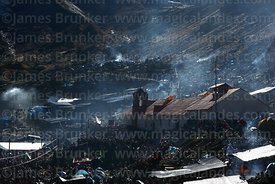 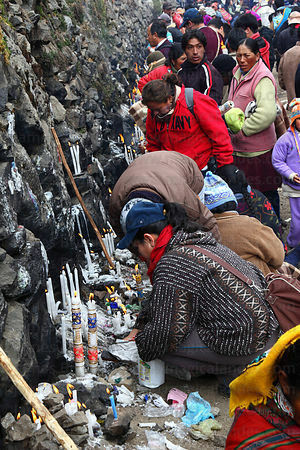 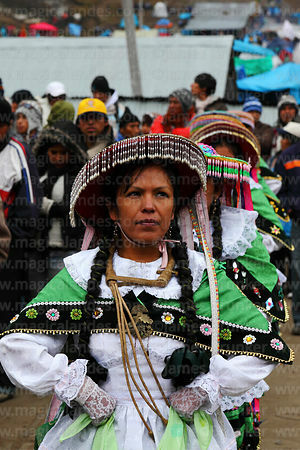 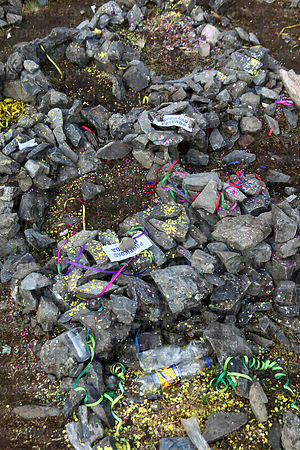 The festival of Qoyllur Riti (there are several spelling variations) takes place over the weekend before Corpus Cristi high in the Andes mountains near Cusco. 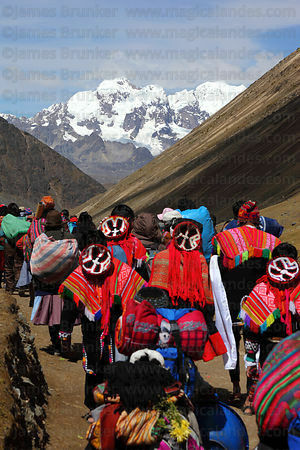 The name means "Snow Star" in Quechua, referring to the Pleiades constellation, or Seven Sisters. 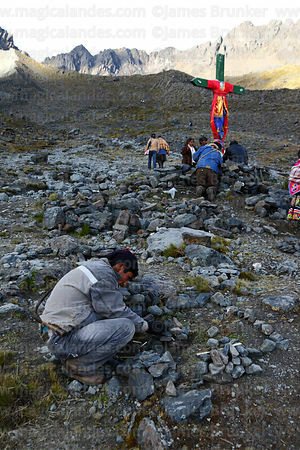 This star cluster reappears in southern hemisphere skies around the time of the festival (after an absence of a couple of months), an event that signalled the start of the harvest in Inca times. 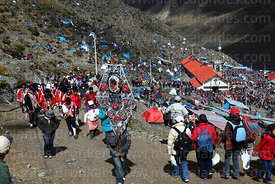 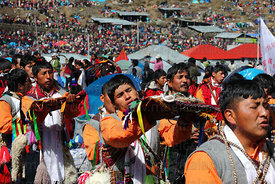 The Catholic origins of the festival date to 1780 when according to legend (there are various versions) a young native herder called Mariano Mayta befriended a mestizo boy called Manuel on the mountain Qullqipunku. 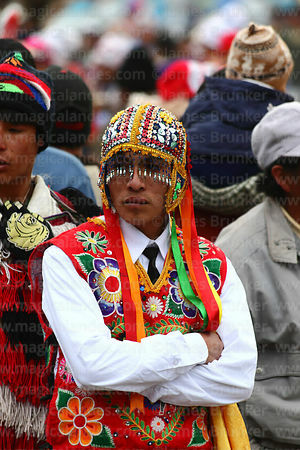 Thanks to Manuel, Mariano's herd prospered, so his father sent him to buy clothes for the two boys in Cusco. 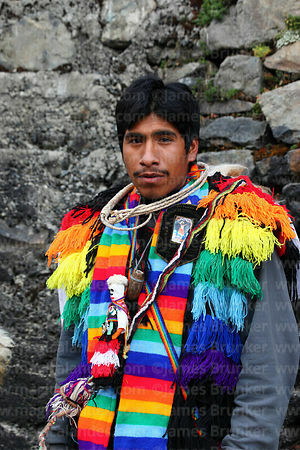 Mariano took a sample of Manuel's clothes but couldn't find the same cloth in Cusco, it turned out it was only worn by the city's archbishop. 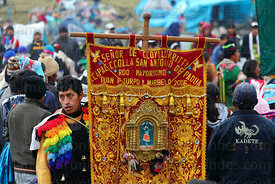 Surprised, the archbishop of Cusco sent a commission to find Manuel and investigate but when they tried to grab Manuel, he became a bush with an image of Christ hanging from it. 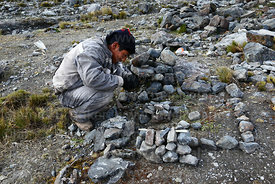 Thinking they had harmed his friend, Mariano died on the spot and was buried under a nearby rock. 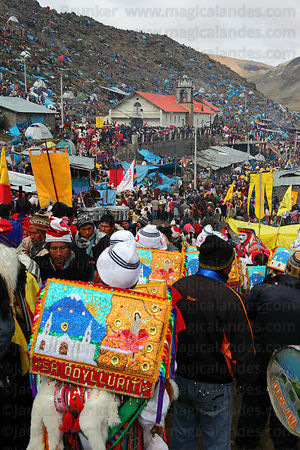 The rock attracted many indigenous worshippers, an image of Christ that was painted on it became known as the Lord of Qoyllur Riti. 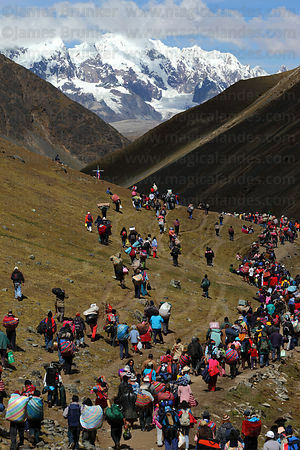 The Sanctuary of the Lord of Qoyllur Riti, which is situated at an altitude of around 4800m /15,750ft in the valley below the Sinak'ara mountain, was later built over the rock. 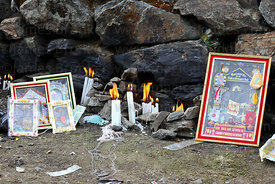 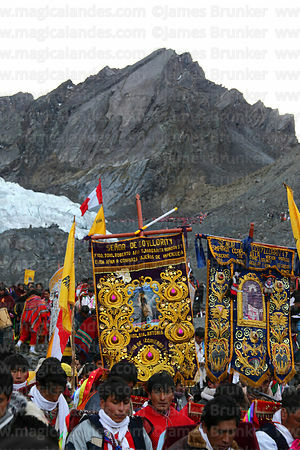 During the festival (which lasts for several days) it is estimated more than 100,000 people visit the Sanctuary to pay their respects to the Lord of Qoyllur Riti. 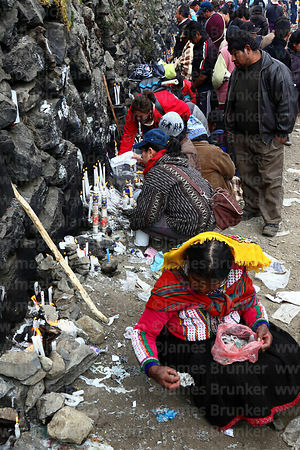 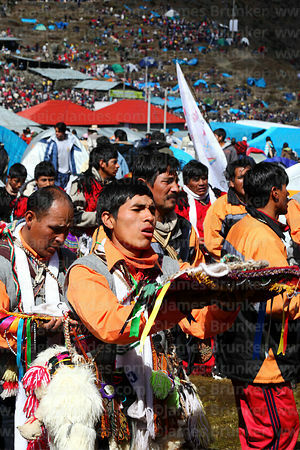 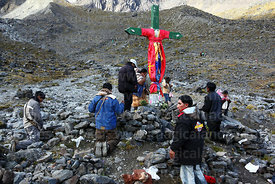 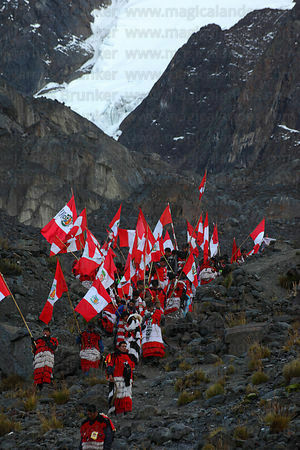 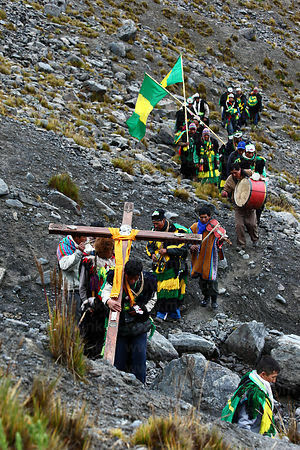 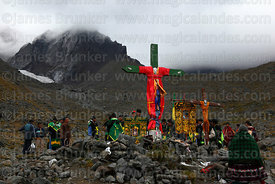 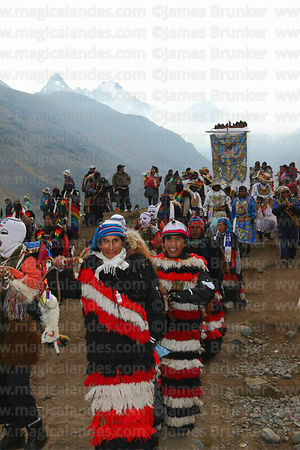 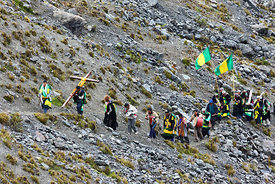 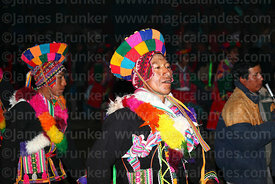 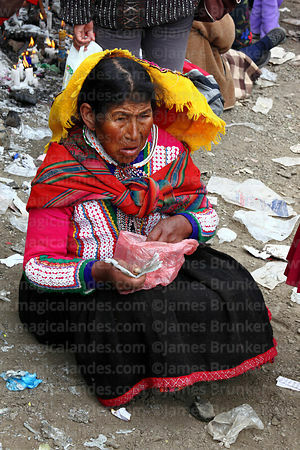 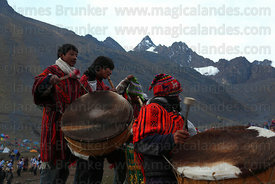 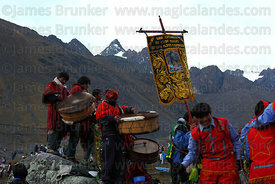 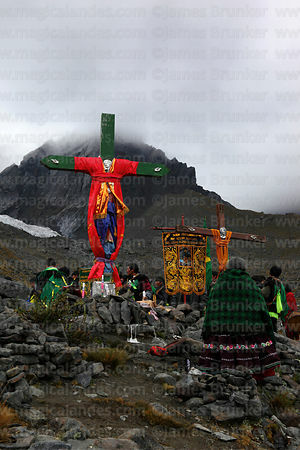 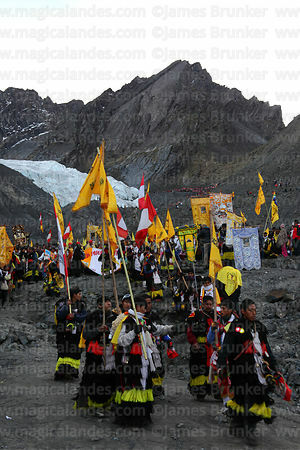 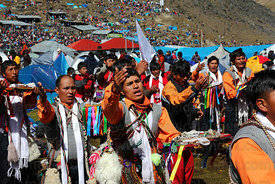 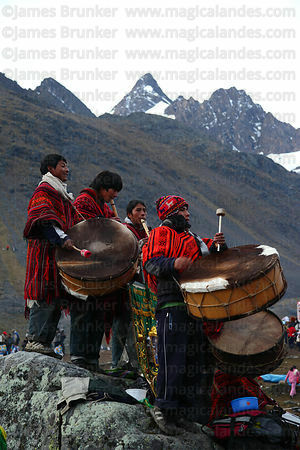 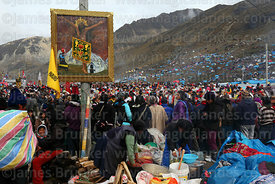 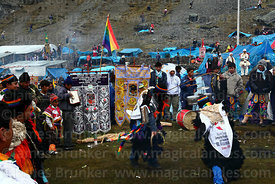 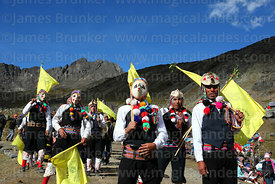 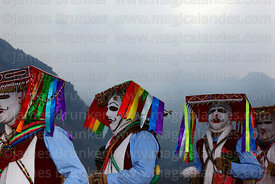 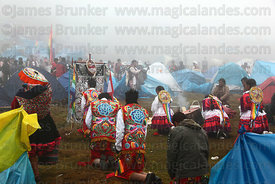 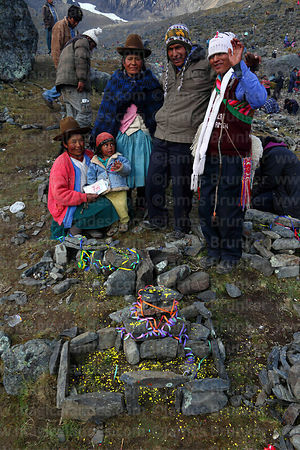 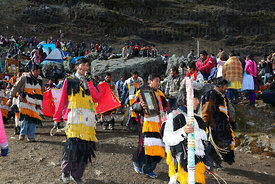 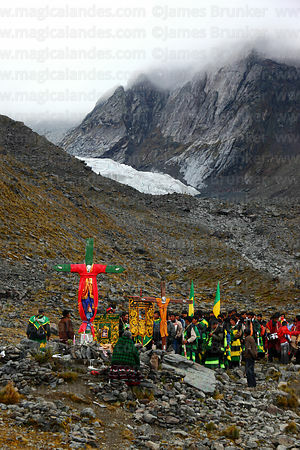 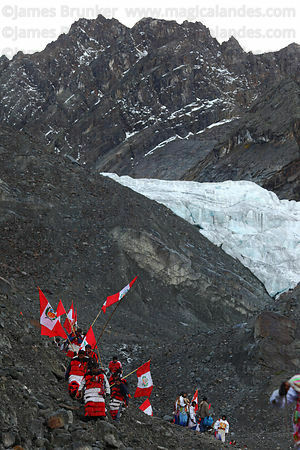 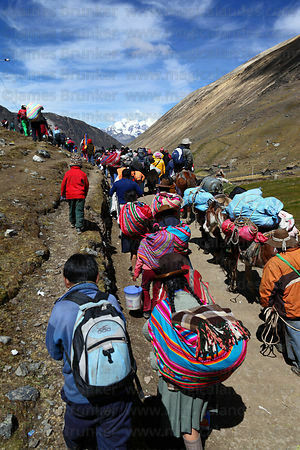 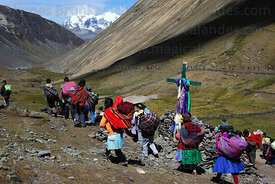 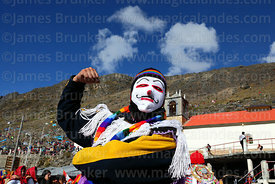 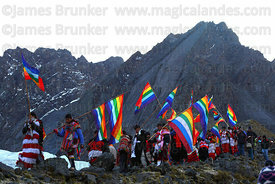 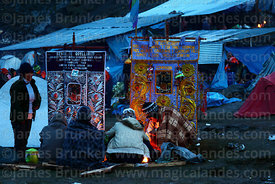 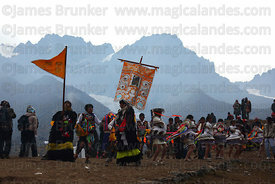 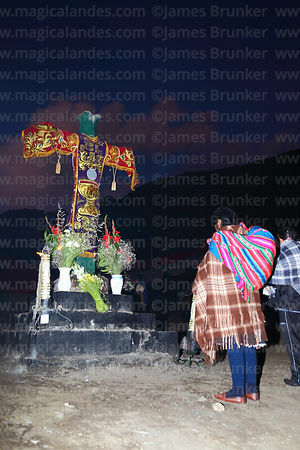 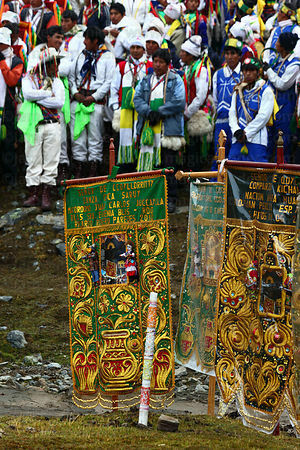 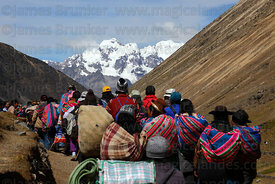 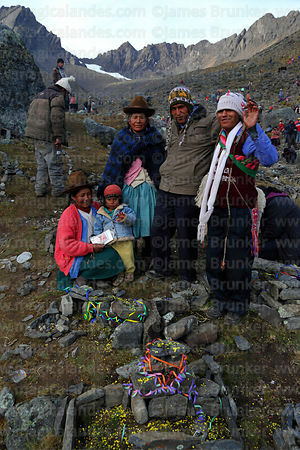 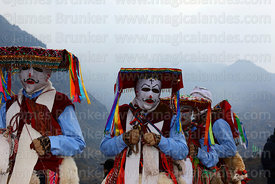 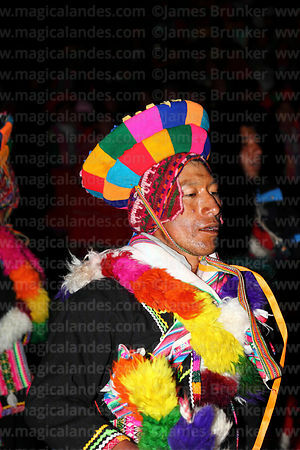 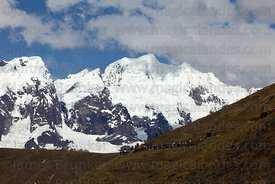 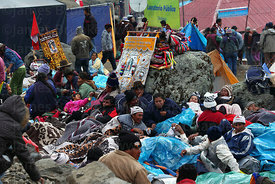 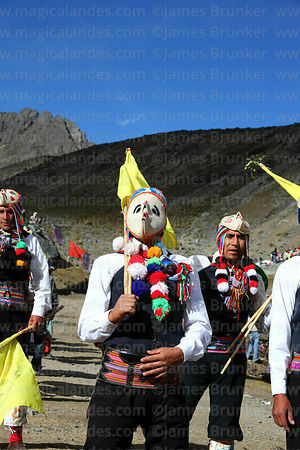 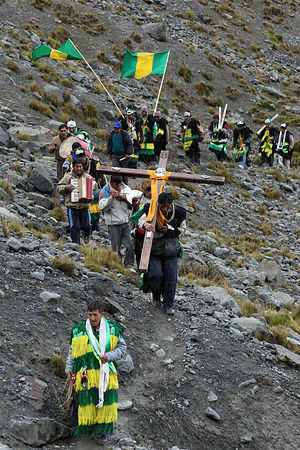 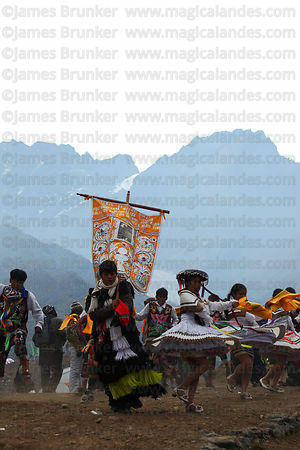 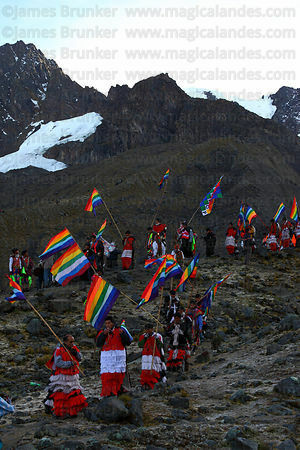 Spiritual leaders of the Quechua brotherhoods of the Quispicanchis region also make a pilgrimage to the glaciers of the Sinak'ara mountain (which are believed to be sacred) to perform ancient rituals in honour of the mountain spritis or apus. 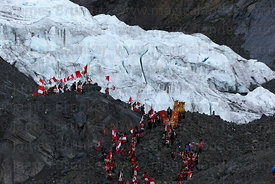 In the past people also used to climb to the glacier to collect blocks of ice, which were believed to have medicial properties. 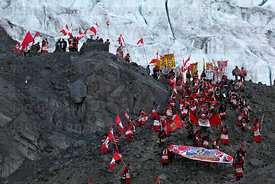 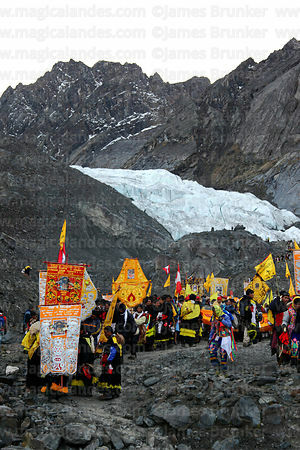 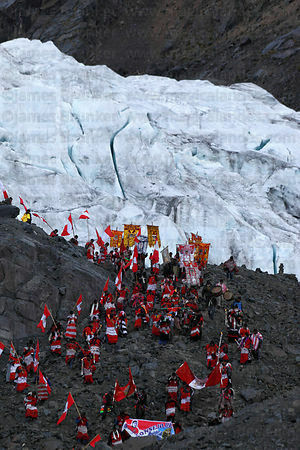 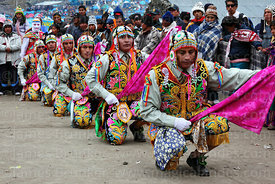 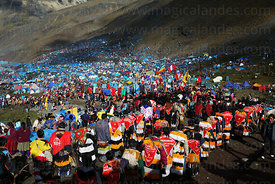 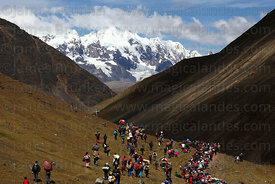 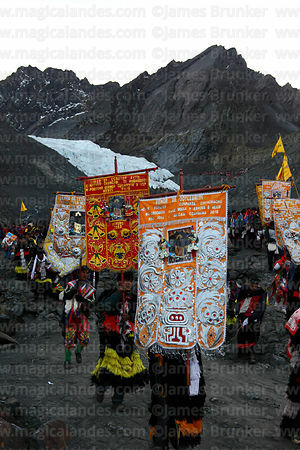 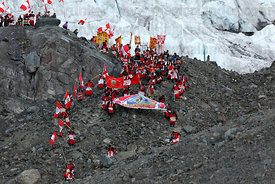 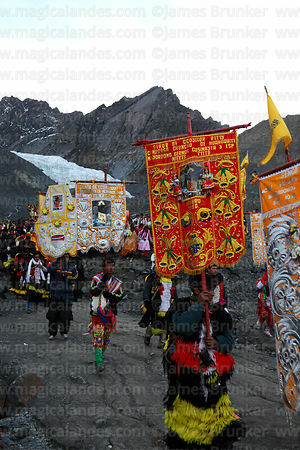 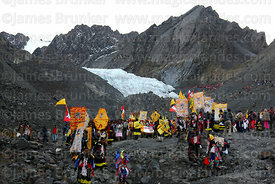 This practice has been restricted in recent years as more and more people attend the festival, the glacier has also receded dramatically due to climate change like many others in the Andes.